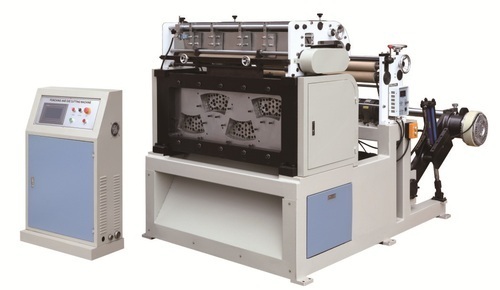 Wholesale Trader of a wide range of products which include automatic roll die cutting machine. Since our inception, we are instrumental in offering premium quality Automatic Roll Die Cutting Machine. The provided machine is designed with the help of the finest quality components and cutting edge techniques. Our offered machine is checked on various parameters by our designers assuring its flawlessness at clients' end. Looking for “Automatic Roll Die Cutting machine”?